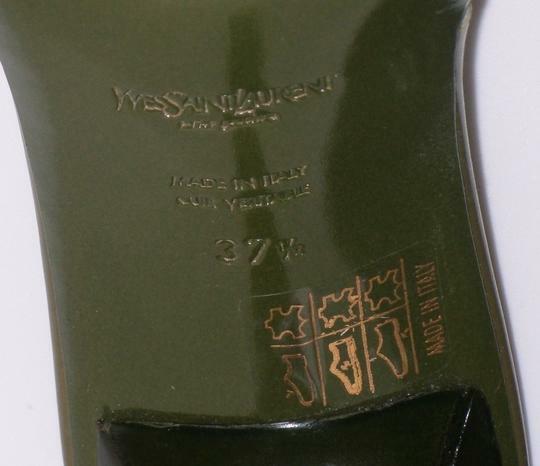 Here we have a fun pair of slides from Yves Saint Laurent. 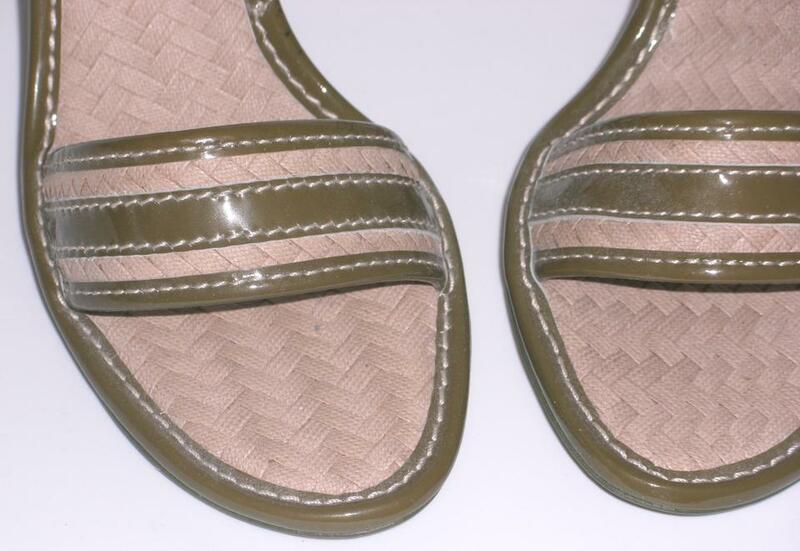 Shiny green striped toe strap. 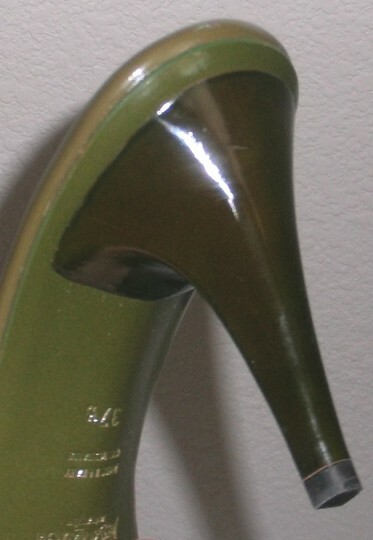 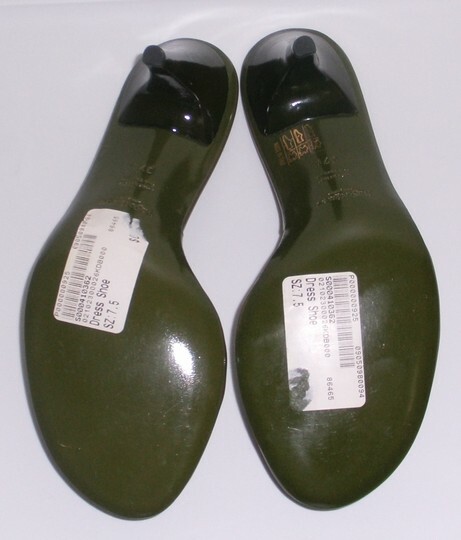 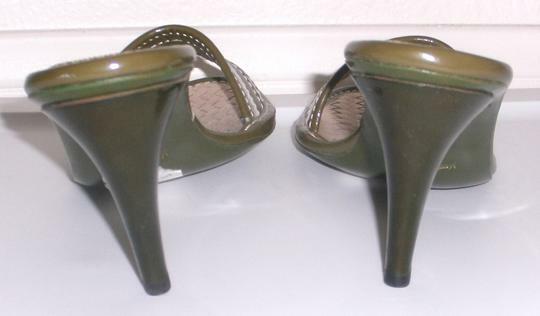 Green heel (left heel has a small indent that will most likely not be noticed when worn...see photo provided. Size 37 1/2. 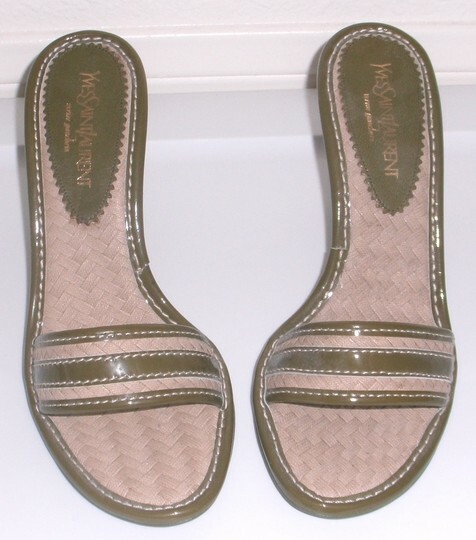 New without box.